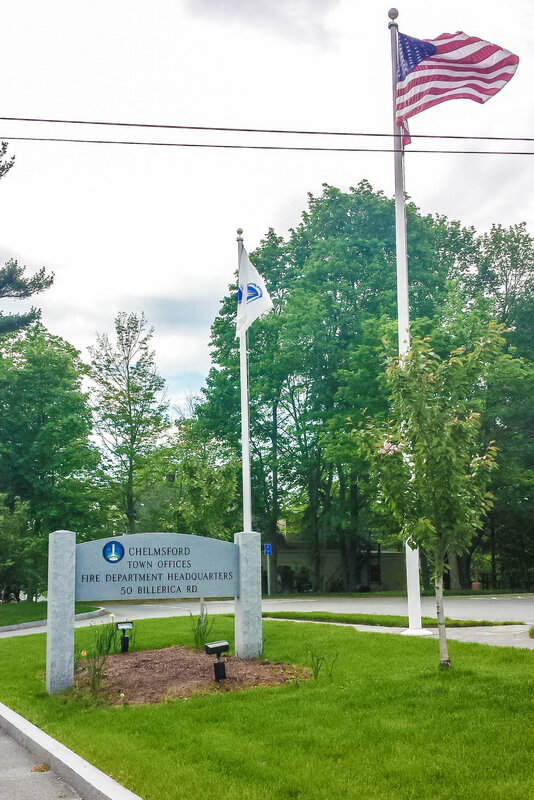 In 2012, following years of planning for a new fire station to replace the undersized and deteriorating Center Fire Headquarters, voters supported the relocation of this facility onto Town-owned land adjacent to the Town office building. This location keeps the headquarters located in the center of Town, meeting required response times. 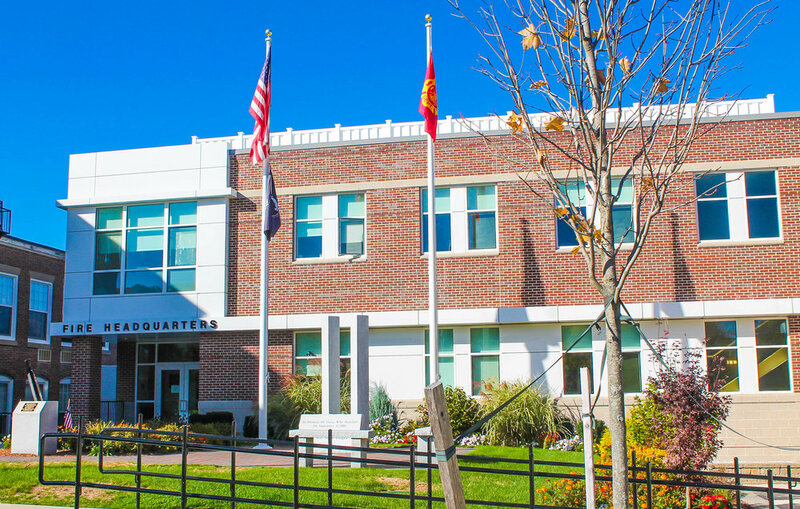 Selected after exploring other opportunities, the site included renovation of 3,400 square feet in the Town office building for fire prevention and training. 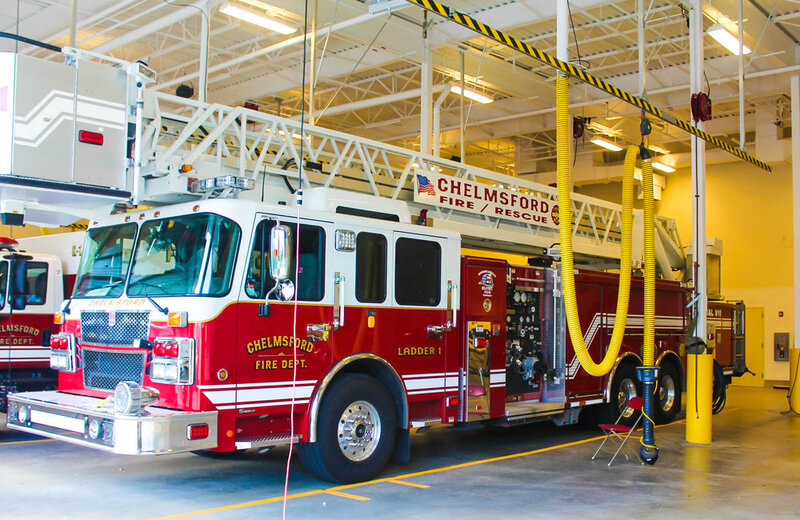 The 16,500 square feet of new construction included five double deep apparatus bays with support spaces, operations offices, firefighter day rooms, and sleeping quarters. These two buildings are now connected. Major concerns during the design were sensitivity towards the residential neighbors and making sure that the new structure was in harmony with the Town office building, which was a former school that had been converted to Town offices many years before. 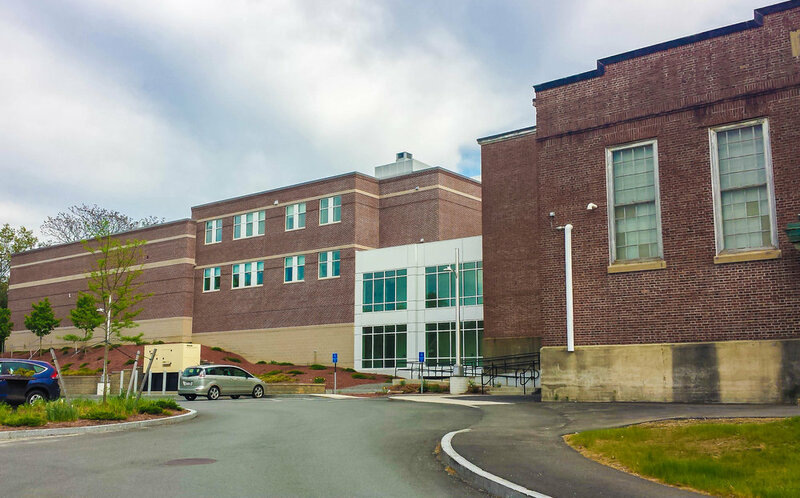 Masonry detailing, color matching to existing masonry, and the placement of doors and windows to minimize light spill reassured the community of the Town’s intent.